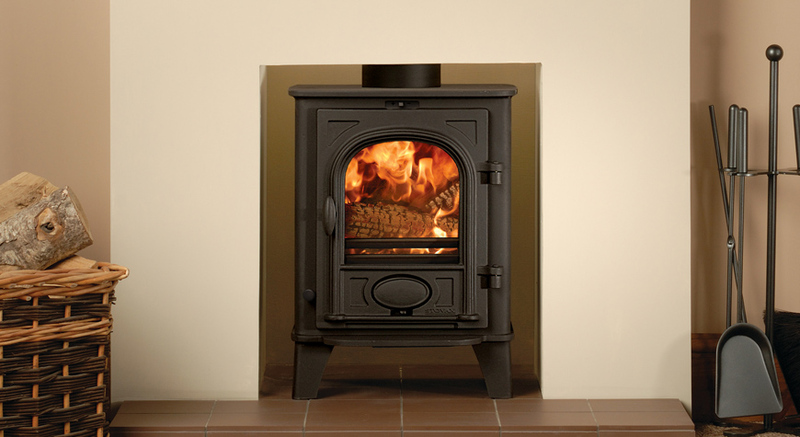 This is the ‘mini’ stove of the Stockton range and is designed to fit neatly into a standard 22″ by 16″ firepace opening. The 3.75kW nominal heat output of the stove means it can be suitable for houseboats, summerhouses and workshops. Available in four colours.